Australian based Omelette Records is once again rolling out the red carpet, this time for The Mollusk (aka Shane Vigo) with his Debut EP Sea Food. This release is sure to take you on a jovial journey, manufactured for the wonkiest of celebrations & pool parties alike. Sea Food's idiosyncratic sound will have you questioning where reality ends and the land of milk and honey begins. 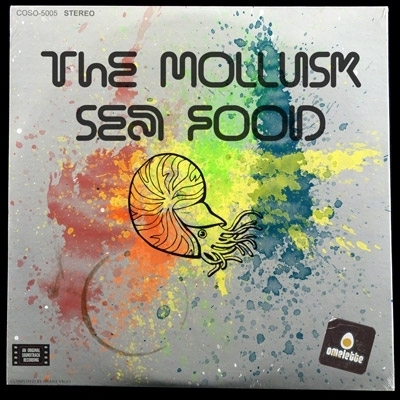 The Mollusk formula brings together ageless classic sounds with a glitchy, fat, sloppy mid range and rolling bass that has the crowd twirling, playing, spinning and toppling over. "Breaking convention" is the Mollusk's middle name, with his constant array of inventive ways of coming up with new sounds. These include recordings of a spray can underwater, circuit bending toys and wet towels thrown at a brick wall, among hundreds of other hair brain & fun ideas to create sound art. After recording these sounds, a select few are re-worked in the studio to become a bass line, synthesis, percussion and other quirky re-creations. sound design that most people find it impossible to relate to anything they have heard before. The Mollusk started back in 2007 as a solo project, and has been to every state of Australia on his sonic journey. He has played at festivals such as Renaissance Festival, Rainbow Serpent and Winter Solstice. Shane has had the opportunity to play with some of his favorite artists such as Bluetech,Bassnectar and Vibesquad to name a few.